Five-star recruit LaMelo Ball, the Chino Hills (California) prep star, scored 92 points in a single game this week. The UCLA-bound point guard told ESPN that his performance was dedicated to a classmate in the hospital. Ball scored 41 points alone in the fourth quarter. He was 37-for-61 from the field and made seven-three pointers. 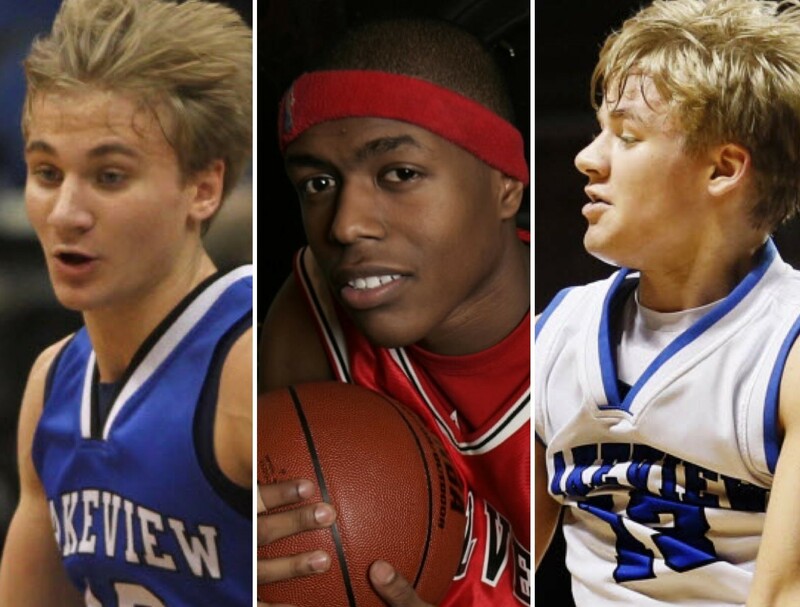 The outburst reminded us of former Minnesota basketball prep stars Bjorn and Anders Broman. The brothers from Lakeview Christian Academy in Duluth regularly put up eye-popping point totals. Bjorn’s single-game high was 74 points on Feb. 21, 2015. Anders scored a high of 71 in 2012. Together they account for nine of the Minnesota State High School League’s Top 15 single-game point totals. Anders is the state’s all-time leading scorer with 5,119 points. Bjorn is second with 4,130 points. The brothers now play together at Winthrop University in the Big South. Their big numbers, however, did not follow them to Division I basketball. Bjorn, a sophomore guard and starter for the Eagles, is averaging 5.5 points per game and averaged 6 points as a freshman. Anders, a redshirt junior guard who comes off the bench, is averaging 7.8 points per game. Anders averaged 3.2 points per game in two seasons of limited play at South Dakota State before transferring to Winthrop. Minnesota’s all-time single-game individual high-scorer is Cash Eggleston. He scored 90 points, just two shy of Ball’s milestone this week, for Minnesota Transitions Charter School in 2005. MTS set several state scoring records in the 153-69 victory over Community Peace Academy on Feb. 2, 2005. The team also set the single-game scoring record and Eggleston broke records for the most field goals attempted (43) and made (34), and three-pointers attempted (29) and made (20) in a game. Eggleston, who played at Edina High School before being released from the team and then transferred to MTS for his senior year, did not continue his basketball career after graduating, according to his former MTS coach, John Sherman. “It was frustrating to me that so many people reacted negatively toward the player rather than looking at the accomplishment,” Sherman told MinnesotaPreps.com. “They reacted very negatively and as a result he didn't even want to go on with his career after high school and he was a brilliant high school player. Star Tribune archives show MTS was criticized by the basketball community and Minnesota State High School League for being unsportsmanlike about its pursuit to break these state records against a much-weaker opponent. “It goes against everything CIF [California Interscholastic Federation] stands for,” Smith told the Los Angeles Times. “The Ball boys are very talented and great players, but it's embarrassing to high school athletics. I've been coaching for 35 years, and we've turned high school athletics into individualism. "It's amazing to watch a kid score that many points. But it's tough to say that's what CIF athletics is about." Fans do like a lot of offense. More points means better entertainment, right?